It’s not easy to tell whether you’re experiencing a sinus infection or symptoms which have resulted from your allergies. In many cases, the symptoms produced are very similar between these two causes, and both of them might well trigger headaches, persistent drainage throughout the day, excessive fatigue, noticeable congestion, nausea, and sinus pressure that makes your head feel like it might explode. It’s important to know what’s causing the symptoms, as the treatment will differ in both these cases. You shouldn’t feel bad if you can’t tell the difference between allergy symptoms and sinus infections though; more often than not, even skilled doctors have difficulty with making an accurate diagnosis. The only way you can really be sure about which is which is by evaluating other information in addition to the symptoms produced. Sinus infections generally trigger a sudden onset of sinus and nasal problems, and quite often these are entirely resolved within 3 to 5 days. In such scenarios, the only kind of medical treatment you need is for whatever symptoms you are experiencing, and your doctor can match up medications to symptoms for the most effective relief. When the collection of symptoms that you’re experiencing persists beyond one week, it is far more likely to be a bacterial infection, and in that situation antibiotics are indicated as a treatment. When the onset of your symptoms coincide with a known increase in local allergens, e.g. high volume of mold, and the condition lasts for several weeks or longer, it’s much more likely to be an allergic reaction. This being the case, the indicated treatment would be your normal allergy medications. 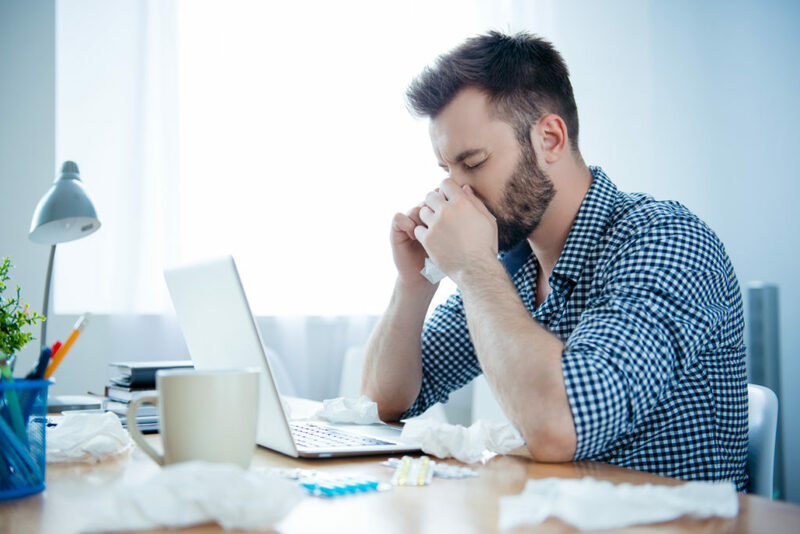 When the set of symptoms that you are experiencing goes on and on, lasting for months at a time, but they do not coincide with any ongoing allergy season, this situation is far more likely to be a chronic sinus infection. In some cases, even antibiotics will not clear this up, and your sinuses may resist any kind of medications you might use to alleviate symptoms. When the whole gamut of medical solutions fails, i.e. antihistamines, decongestants, and antibiotics are all ineffective, then that’s a situation which may call for the most modern sinus treatment available: balloon sinuplasty. If you aren’t quite sure what you are allergic to, that kind of testing can be done in a doctor’s office in a procedure that lasts for roughly 30 minutes. It is helpful to know which substances you may be allergic to, because then you can do your best to remove these triggers from your immediate surroundings, so as to avoid any kind of encouragement for an allergic episode. The testing involved for allergies will not only tell you which substances you have an allergic reaction to, but it will also tell you what level of severity your reaction might be, i.e. mild, moderate or severe. When it turns out that you are experiencing an allergic reaction to something, a pseudo-antidote can be prepared by your doctor as an allergy shot, which will relieve your symptoms fairly quickly. While this is likely to be a condition which recurs seasonally, you can at least anticipate when it will happen, and be prepared for managing any symptoms which develop during that time frame. If your problem turns out to be a chronic sinus infection or congestion, the best approach might be to consult with your doctor about balloon sinuplasty. This is a minimally invasive procedure which can be performed in the doctor’s office in less than an hour, and without the need for general anesthesia. During this procedure, a small balloon is introduced into a nasal passageway and then inflated so as to relieve any narrow-ness, and then restore optimal flow through that passageway. The same process can be performed for each of the sinuses if necessary, and since there is no surgery involved at all, the recovery time for this process is very quick, with most patients being able to report to work the very next day. Obviously, the important point in determining which treatment is the right one is to correctly identify which medical condition you may be troubled with. While the symptoms from your allergies won’t be helped at all by balloon sinuplasty, neither will your chronic sinusitis be helped by allergy medications or an allergy shot. The key to all this is to consult with your doctor about exactly which symptoms you are experiencing, to have an understanding of what you are allergic to, and what triggers may be present in your household or extended environment. It is also helpful to be aware of local allergy seasons which may impact your health. The key elements to look for in any diagnosis of the cause for your symptoms are the actual duration of your symptoms, the possible presence of allergy season, and if necessary, a thorough examination by your primary care physician. Taken all together, these factors should provide a fairly clear diagnosis for whether you’re suffering from allergies or sinuses. There has unquestionably been a lot of buzz in the medical industry about balloon sinuplasty recently, and with good reason. It represents a vast improvement over procedures formerly used in the treatment of blocked or infected sinuses, and all the symptoms which those conditions triggered. It wasn’t long ago that people suffering from sinus infections and chronic congestion were forced to endure headaches, a stuffy or runny nose, fevers, coughing, sneezing, and a whole host of other unpleasant symptoms that were all attributable to inflammation or infection present in the sinuses. Every person is born with four sets of sinuses, and any of these can become congested or infected at virtually any age. When that happens, it becomes very difficult to concentrate and to get through an ordinary day at home or at work. 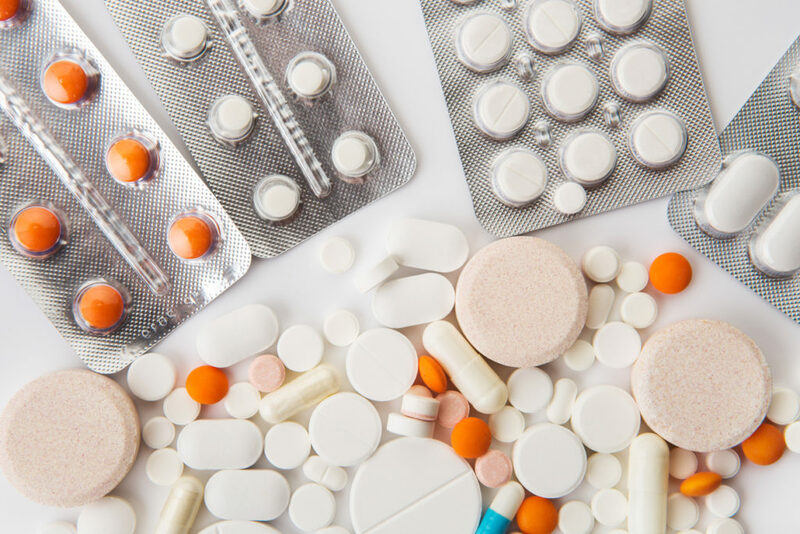 While there have been many medications used to treat the condition, most of these end up being only partially effective, if at all, and the symptoms which they are treating come back fairly quickly. Even worse, in many cases the antihistamines, antidepressants, antibiotics, decongestants, and pain medications which have been used in treatment can impart their own set of side effects on a patient, and some of these are as bad as or worse than the original symptoms. The underlying problem with sinuses is that sinus tracks often become obstructed or are too narrow to begin with, so blockage comes about fairly easily. In severe cases, when medication treatments failed to manage the problem, the only other possibility would then become a surgical solution. Not only was surgery a procedure which carried its own set of risks, but general anesthesia was always required, and since the surgery itself was a highly invasive procedure, it was always followed by significant downtime for the patient. Anyone who had sinus surgery a decade or more ago probably had to endure between three and four weeks of recovery time, before being able to return to work or any other strenuous activity. But all that changed with the advent of balloon sinuplasty. This procedure is done on an outpatient basis in a doctor’s office, and instead of requiring general anesthesia as old-style sinus surgery did, only an IV sedation is necessary for a patient undergoing the procedure. During balloon sinuplasty, a tiny balloon is placed into each one of the normal drainage paths used by sinus cavities, and this balloon is then inflated to cause dilation of the pathway. Once this has been accomplished, the balloon is deflated and easily removed, without the need for any kind of stent. Not only is the natural sinus flow restored, but the long-term outlook for keeping the pathway open and flowing is nearly 100%. This means that once you undergo balloon sinuplasty, the chances are that you won’t need to have the procedure repeated, and that you can expect sinus issues and congestions to be a thing of the past. In many cases, patients undergoing balloon sinuplasty begin to notice a reduction of sinus pressure and much improved breathing right while they are sitting in the doctor’s office. There is almost no discomfort reported by patients being operated on in this manner, and there is no need for medication to relieve any kind of pain, because discomfort is minimal. In the vast majority of cases, patients are back to work the very next day, and instead of feeling any lingering effects from the procedure, they universally experience a much better outlook and sense of well-being than they had the day before. Is Sinuplasty Right for You? The question of whether balloon sinuplasty is right for you personally will relate to how severe your sinus issues are, and how confident you feel about the procedure managing your own set of symptoms. Generally speaking, balloon sinuplasty has been an extremely successful medical procedure which has already been used on almost 400,000 patients, most of whom are highly satisfied. Any risks which were associated with sinus surgery in the past are virtually non-existent with this procedure, and no other tissue is even harmed in the process. It is a minimally invasive procedure which is much safer than old surgical procedures used to be, because it involves no removal of bone or tissue. Recovery time from this procedure is minimal, and in most cases no recovery time is needed at all. This is also a very cost-effective procedure, since it does not call for general anesthesia and it does not involve any kind of surgery or hospital stay. Balloon sinuplasty may be exactly the right treatment for you if you routinely experience chronic nasal congestion, headaches, sinus pressure and pains, or if your sense of taste and smell are often impaired. When these symptoms occur, and they cannot be effectively managed by over-the-counter medications or any of the prescription medications your doctor might recommend, it may be time for you to consider balloon sinuplasty as a more long-lasting solution to your ongoing sinus problems. In case you were unaware, post-nasal drip is a condition where excess mucus is produced within the sinus cavities and nasal passages. As the mucous membrane continues to produce beyond the normal required levels, it causes the sufferer to endure mucus in the throat and towards the back of the nose. Post-Nasal Drip Causes – Why does the mucous membrane suddenly start producing too much mucus for our sinuses to handle? Typically, a health issue will be to blame whether this is sinusitis, rhinitis, or possibly certain allergies. After this, a smaller pool of people will experience this problem when the weather changes from one season to the next or even when their hormones fluctuate; the latter is common during pregnancy, menopause, and menstruation. Post-Nasal Drip Symptoms – For the most part, the sufferer is likely to notice a sore throat, some coughing, and a constant need to clear the throat. As the mucus becomes more prominent, it can be somewhat difficult to swallow and the back-up causes congestion within the nasal passages which, in turn, causes a blocked and ‘heavy’ feeling. Of course, there may also be mucus towards the back of the throat. Post-Nasal Drip Treatment – Before we head into our main topic, we should also point out that there are various solutions to this particular problem depending on the extent. For example, antibiotics will commonly be used as a starting point before considering bulb syringes, neti pots, and surgery. Although surgery isn’t the ideal solution, there is a minor procedure that can achieve the main goal should the rinsing techniques fail. As you can tell from the title of this guide, we want to talk about two lower respiratory diseases today in pneumonia and bronchitis. Typically, these two health conditions affect breathing because they impact the airways or the lungs themselves. With post-nasal drip, this is considered an ‘upper respiratory disease’ because it’s located within the nose, throat and sinuses. With that being said, is there a correlation between the three? Can an upper respiratory disease develop into a lower respiratory disease? Pneumonia – As a serious health condition, pneumonia is essentially an infection that attacks the alveolar tissue within the lungs. As the lungs fill with liquid, their oxygen output is hampered and the body cells can’t operate as they should. As the overall oxygen levels decrease, this leads to chest pain, fever, headaches, wheezing, tiredness, a lack of energy, coughing, and a shortness of breath. Bronchitis – On the other hand, bronchitis is an inflammation in the airways. This leads to an overproduction of mucus which then blocks the bronchi in the mucous membrane. Even today, bronchitis is often a misinterpreted problem because it can disappear within ten days or it can be life-threatening. When assessing the two health conditions, pneumonia and bronchitis, people often get the two mixed up because bronchitis can also go on to damage cells and decrease the oxygen levels within the body. Therefore, it causes many of the same symptoms even though the early stages are very different. As mentioned, chronic (as opposed to acute) bronchitis can threaten a life if several attacks take place over a short time. When in a hospital, oxygen is given to patients to compensate for the impact of the pneumonia or bronchitis. When you have a viral infection, this could start with a runny nose, irritation in the throat, nasal discharge, and post-nasal drip. As the problem gets more serious, this is where the connection comes to the fore. With bronchitis, excess mucus production can occur as the glands are affected by the inflammation within the bronchial airways. From here, this leads to sputum as well as a cough which is linked back to upper respiratory diseases. Coughing Blood – At first, bronchitis can look and feel like an upper respiratory disease. Soon enough, the infection gets worse and the sufferer coughs up thick mucus. Sometimes, this mucus can be streaked with blood and this is where the mucus membranes have been damaged. If you’ve had a cough for more than ten days while also experiencing difficulty breathing and chest pain, we highly advise you visit a doctor. Collapsed Lungs – Since bronchitis severely affects the air passing through the lungs, dehydration can be an issue as well as blocked airways from thick bronchial secretions. Unfortunately, this has the potential to lead to respiratory failure, pneumonia, and collapsed lungs. If both lungs are having trouble, this could be double pneumonia and a hospital stay is required immediately because oxygen in the blood will be low, blood pressure can drop significantly, and vomiting can also cause issues. Whooping Cough – Within the respiratory tract, whooping cough is a contagious disease caused by bacterium inside the throat, nose, and mouth. Without vaccines, it would still be one of the largest medical issues in the world. Walking Pneumonia – Finally, the germ Mycoplasma causes walking pneumonia which is not normally seen as a serious problem. Once again, vaccines and antibiotics have prevented millions of deaths here. As you can see, there are similarities between sinus conditions and lower respiratory diseases and this is why they’re so commonly linked. With the symptoms causing other issues in the respiratory system, starting with one condition can very quickly lead to more serious health concerns. A recent ground-breaking medical study has put forth the surprising conclusion that the overall health of your sinus cavities may be due in part to the microbial balance within the sinus cavities. What this means in practical terms is that it’s not as important which microbes are living in your sinuses, as it is that there’s a balance among all those various microbes. In the study, seven patients with chronic sinusitis (CRS) were compared to seven other patients who were completely healthy, in terms of their sinuses. The first thing that scientists noticed among the CRS patients was a much lower diversity in the types of microorganisms inhabiting the sinus cavity. 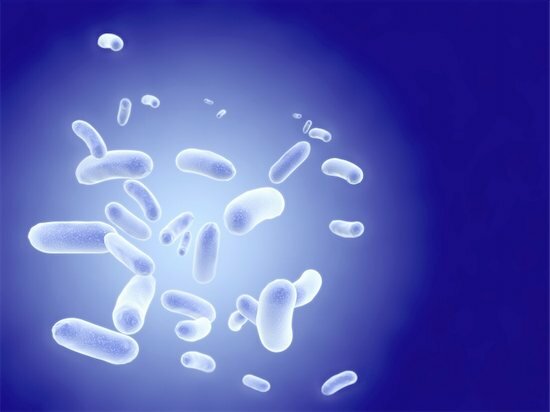 In particular, one of the most noticeable findings was a significantly lower presence of the bacteria called lactobacilli, which are bacteria thought to be very important for maintaining good health in the digestive tract. At the same time, investigators discovered that there was a much greater presence of a pathogen called Corynebacterium Tuberculostearicum. These two discoveries are thought to be related, and it has lead scientists to conclude that the overall health of the microbial ecosystem or microbiome, may be dependent upon the delicate ratio of specific microbes with each other. In effect, this means that when the microbiome is in balance, a kind of protective mechanism is formed to prevent harmful pathogens from taking hold and degrading a person’s health. The frustrating aspect of this concept is that scientists have been unable to discover exactly how it is that helpful microbes like lactobacilli work to keep harmful pathogens from taking over the sinus cavity, and potentially wreaking havoc. Current speculation suggests that the effectiveness of lactobacilli in fending off pathogens may be attributable to the bacteria’s ability to lower the surrounding pH through the regular manufacture of lactic acid. By producing tiny amounts of lactic acid in the sinus cavity, it is thought that lactobacilli may exert a strong influence over which microbes can take up residence there, and which are excluded from the environment, e.g. some of the harmful pathogens. The results of this study have been extremely intriguing for scientists, but at the same time it is understood that this exploration will require a great deal of follow-up before a real understanding of the microbial ecosystem can be obtained. While the relationship between a strong lactobacilli presence and the corresponding absence of pathogens may still prove to be one of the most powerful factors in contributing to overall sinus health, scientists acknowledge that many other bacteria in the microbiome must be studied as well. Future studies are therefore likely to focus on other bacteria in the microbiome to see what their roles may be in contributing to the delicate microbial balance, and in turn, what their effect on overall sinus health may be. One of the reasons that the findings of the study are so important is that the real cause of CRS has always been debated among medical people and scientists, and there has never been a consensus about the best approach. What is not debated is that more than 30 million Americans in any given year have CRS, and that the cost in healthcare each year for treating the chronic condition is in the neighborhood of $2.5 billion. There have been two primary schools of thought about CRS, one being that it should be treated with anti-inflammatory medications because it’s an autoimmune response, while the other camp holds that it should be treated with antibiotics because it’s an infectious disease. In the past, it was thought necessary to use antibiotics in order to eradicate all potentially harmful pathogens within the sinus cavity as a means of restoring good health. However, in light of the new study findings, what this may have been accomplishing unintentionally is the destruction of the delicate microbial ecosystem in the sinuses. Therefore, the theoretical optimal result of treatment with antibiotics would be a temporary success after having destroyed whatever pathogens were resident, with a resumption of those pathogens to be expected when antibiotic treatment lapsed. This in fact, is the very scenario which has seemed to play out in many patients. It seems to resonate with what is now being discovered about the balance of the microbiome being more important than the specific presence of individual microbes. This in turn seems to indicate that a shift in the medical approach to treating CRS should be adopted. Rather than attempting to lay waste to all harmful pathogens resident in the sinus cavity, it may be far more helpful for the long-term health of any CRS patient to restore the microbial balance which prevails in the sinus cavities of completely healthy individuals. In simplistic terms, medical personnel are now beginning to believe that treatment of CRS should not be centered around destroying what’s there, but on restoring the balance that used to be there. This will allow the sinus cavity microbiome to once again become capable of policing itself, and of maintaining good overall sinus health. Chronic sinusitis is a recurring inflammation which can occur in any of the four sinus cavities, most often caused by allergies, smoking, viruses, or bacteria, or some combination of these triggers. It can cause a variety of symptoms including pain and discomfort, as well as congestion and post-nasal drip. One of the most innovative treatment methods for sinusitis today is photodisinfection therapy. 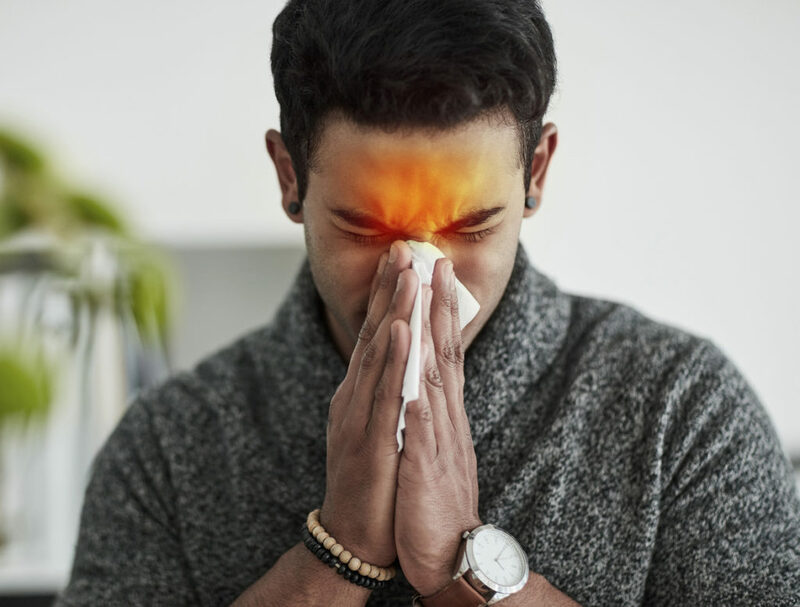 In this process, a non-thermal laser beam is aimed at the site of infection or inflammation in the sinus cavity and instantly kills any bacteria contributing to the sinusitis condition. Typically, patients who have chronic sinusitis are first treated with medications such as decongestants, antihistamines, antibiotics, nasal steroids, or saline solutions, since these medicines are usually inexpensive and can be bought over the counter. 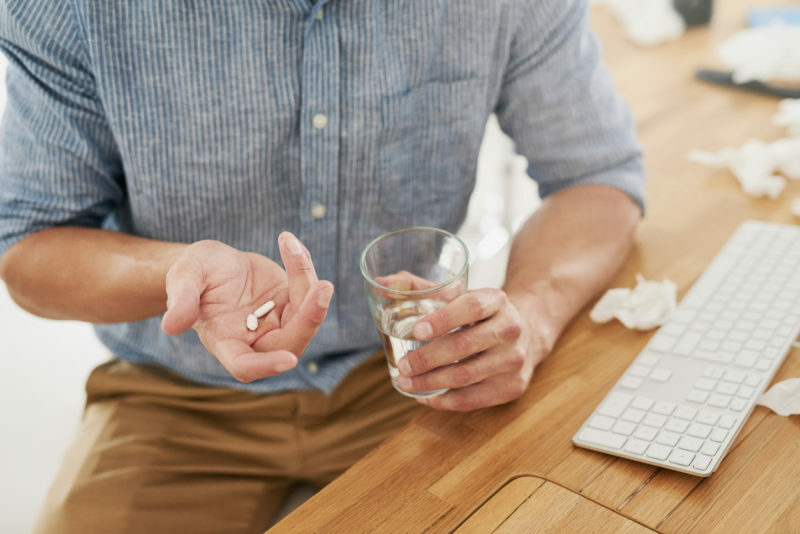 In many cases, these medications are successful in managing the symptoms of chronic sinusitis, but even so, long-term usage often carries side effects that make these treatments less than ideal. It’s also true that at least 20% of all patients experiencing chronic sinusitis do not respond favorably at all to any of these types of medications. Historically, for such unresponsive patients, there have been few alternatives available other than to seek a surgical solution. Invasive surgeries, however, are usually used as a last resort solution to the problem. Photodisinfection is now offering a very real and effective potential solution for those people who’ve already tried the traditional methods of treatment without success. Photodisinfection is a non-antibiotic treatment which works much faster than any antibiotics can, which means it can bring relief to someone who has sinusitis within minutes or hours rather than a period of days or weeks. Photodisinfection uses antimicrobial photodynamic therapy, in which a balloon catheter delivers the laser beam to the site of infection. This process has the effect of destroying any drug-resistant biofilms which may be resident on the sinus membranes and eliminates bacteria, fungi, and viruses. Because it uses safe laser light, there is a minimal or no inflammatory response, which contributes to quick recovery time. In the immediate aftermath of the process, almost instant relief is felt by the patient, because of the real-time elimination of the causes of the original sinusitis. Photodisinfection works to target all problematic microbes and destroying them with a safe laser set at a specialized wavelength. All microbes are instantaneously destroyed – this way, microbes won’t be able to develop any resistances to the treatment. The photodisinfection process effectively destroys exotoxins, and endotoxins, and both intracellular and extracellular pathogens, even destroying polymicrobial biofilms which have demonstrated resistance to antibiotics. Even a single treatment of photodisinfection has been proven to be more than 99% effective at killing targeted fungi, bacteria, and viruses. The reason it can be so effective is that it targets only those organisms which have absorbed a photosensitizer introduced at the site of inflammation or infection in the sinus cavities. The laser light used in the process is carefully controlled at a specific wavelength so that it has no effect on healthy human tissues. Contrary to the use of antibiotics, there has been no evidence of growing resistance to photodisinfection treatments on the part of targeted bacteria. Photodisinfection has undergone thorough clinical testing and has produced remarkably consistent results with patients who have had little or no success with the more traditional treatment methods. 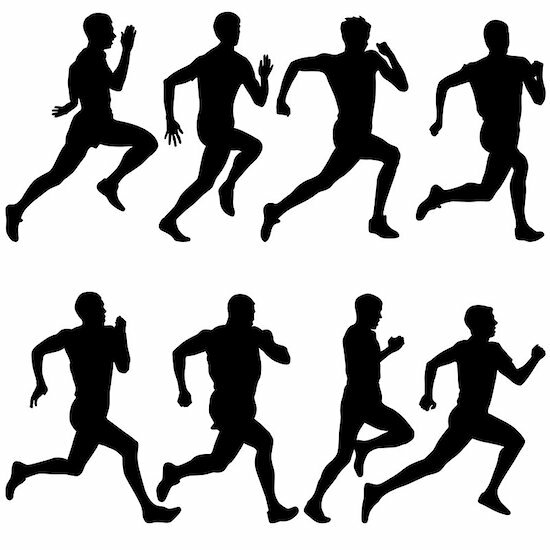 It is a well-understood process which relies on a very simple mechanism for its effectiveness. The first step in the process calls for applying a photosensitizing solution to the site in the sinus cavity which has been targeted for treatment. These photosensitizing molecules bind themselves to microbes which been targeted, but at this stage, the photosensitizing molecules remain in an inactive state. Next, laser light at a carefully predetermined wavelength is trained on the treatment site, with the specific wavelength chosen to maximize absorption of the light by the photosensitizing molecules already in place, and bound to the microbes. When the lasers come in contact with the infection site, it triggers a photocatalytic reaction destroying the problematic microbes, while leaving healthy tissue unaffected. During this process, a whole plethora of virulence factors are also eliminated, reducing inflammation at the site as well. When the laser light is removed, the entire photocatalytic reaction terminates, with no further actions occurring. Because this whole process works instantaneously, there is no time for microorganisms to develop resistance to photodisinfection. This accounts for the fact that bacteria have not demonstrated any resistance to recurring photodisinfection treatments, and allows for repeated treatments to be administered if necessary. The demonstrated immediacy of both the anti-inflammatory effects as well as the anti-microbial effects make photodisinfection therapy one of the most effective treatments of chronic sinusitis available today. The connection between gluten and nasal congestion may not be immediately apparent, but there certainly is a connection, especially for individuals who happen to be gluten intolerant. Gluten is a protein which is commonly found in grains and various foods which may contain those grains. Most people think of nasal congestion as having excess mucus in the sinuses, but the real culprit of nasal congestion is an inflammation of the delicate nasal tissue. Nasal passages are comprised of soft tissues and mucous membranes which act to filter debris and particulates from oxygen before its entry into the lungs. Someone who is allergic to gluten may quickly experience inflammation of the nasal tissue after eating foods which contain gluten, which then opens up the door to all the symptoms of nasal congestion. 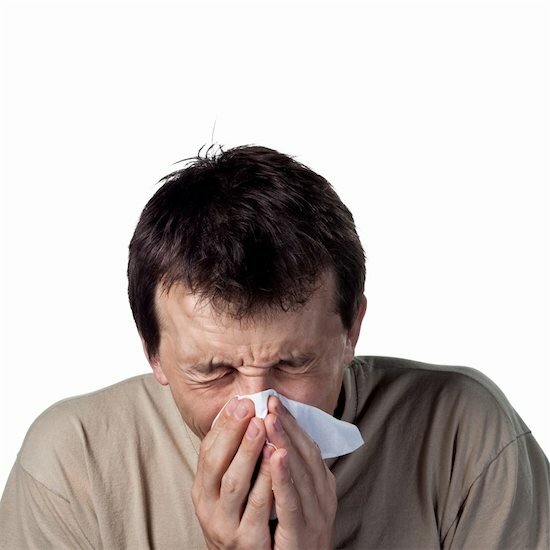 Nasal congestion is one of the most common of all food allergy symptoms. People suffering from nasal congestion experience discomfort in the facial area around the cheekbones, in their teeth, and sometimes around the forehead. This kind of stuffiness can exert significant pressure throughout most of the head, and make the sufferer feel tension similar to a headache. It can also lead to postnasal drip, wherein mucus oozes or drips into the throat, causing someone to feel a kind of gag reflex, with the need to cough up the mucus. The increased presence of mucus can create nasal congestion, and inflammation of the sinus tissue, which can cause nasal passage obstructions. When this happens, it can be difficult for the victim to breathe through the nose. The best way to the adverse effects of gluten and nasal congestion is to cut out gluten from your diet. For some people, the presence of gluten in the body triggers an overreaction on the part of the immune system, one result of which is the excess production of histamine in the sinus cavity. When the immune system mistakenly identifies a gluten protein as an invader, it has the same kind of reaction it would have to an intrusive virus or bacteria – it creates antibodies to attack the invading protein. The sudden increase of white blood cells generates a greater than normal quantity of histamine, which in turn leads to nasal irritation and potentially severe inflammation. This kind of reaction however, is not the norm, and generally only occurs in people who are allergic to gluten. If you think you might be intolerant to gluten, the best way to find out for sure is to consult your family doctor. 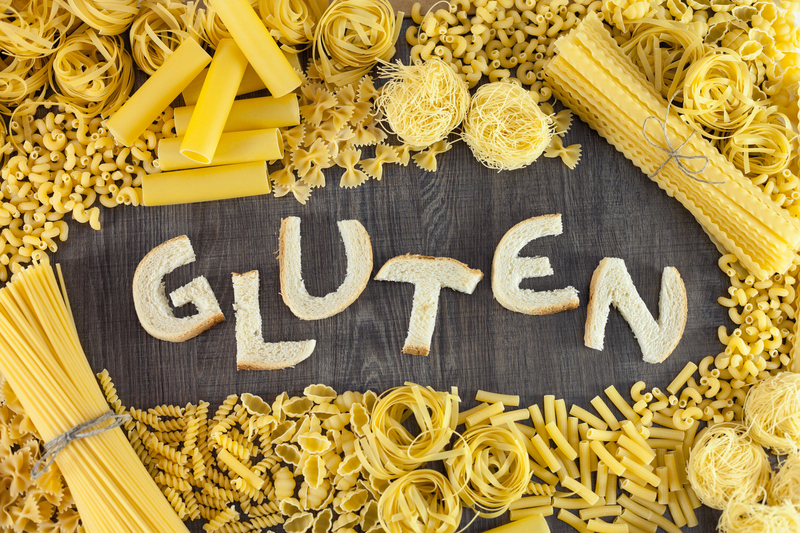 A blood test can identify the specific gene that causes an allergic reaction to gluten, and steps can then be taken to manage your intolerance. 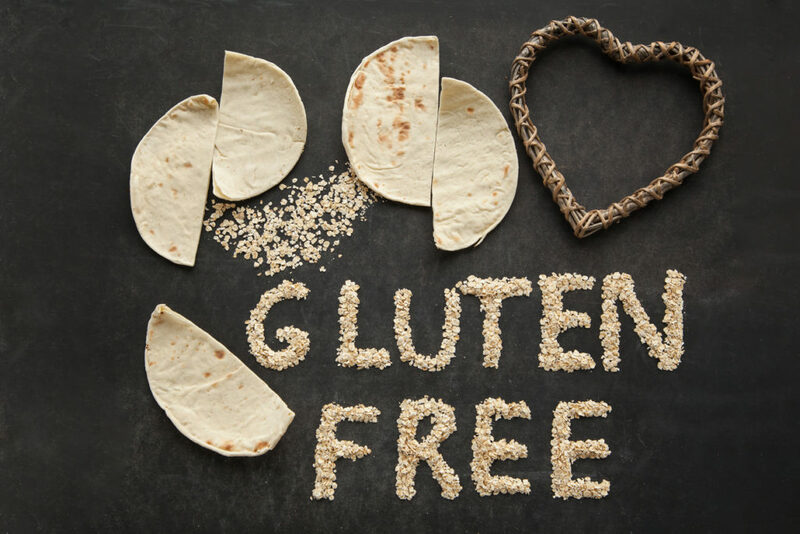 Someone who is experiencing some or all of the symptoms of gluten intolerance, e.g., headaches, nasal congestion, fatigue, bloating, diarrhea, etc. can try eliminating all foods containing gluten for a full month. Toward the end of that period, you can take stock of how you feel, and whether the symptoms you were recently experiencing have been alleviated, or have disappeared entirely. If your symptoms have cleared up by eliminating gluten from your diet, the chances are that you do have an allergy to foods containing gluten. Patients can quickly deal with the adverse side effects from gluten and nasal congestion – avoid all foods containing the gluten protein. As with many things though, that’s a little easier said than done. Unfortunately, most food allergies persist throughout the victim’s lifetime, and almost none of them have a cure. That means it becomes incumbent upon the victim to be educated about those foods, so they can exclude these foods from their diet. Grains often contain gluten, including oats, barley, wheat, and rye, which means foods containing any of these grains should be avoided. However, those are not the only sources of gluten, so you should also pay careful attention to cookies, pasta, crackers, salad dressing – even deli meats. In short, almost anything that could contain the grains identified above are contenders for having gluten as an ingredient. To be sure about what you’re purchasing and about what you’re eating, the safest bet is to look for foods identified as gluten-free. Before adopting any specific treatment for gluten and nasal congestion, you should consult your physician. Your doctor may recommend any one of some treatment approaches, including the use of nasal saline sprays, decongestants which can be purchased over the counter, or antihistamines. Whatever has been recommended for your particular case should be kept on hand, so that in the event a gluten-triggered attack of nasal congestion comes on, symptom relief is nearby. Cavernous sinus thrombosis, or CST, is a severe sinus condition which can arise from complications attendant upon some kinds of facial infection, often leading to the development of a blood clot in the cavernous sinuses of the skull, where there are hollow areas behind both eye sockets. Severe medical conditions can result from CST, including blindness, brain abscesses, stroke, blood poisoning, and even death. Infections which originate in the nose, ears, eyes, teeth, or skin around the facial area can all lead to the development of cavernous sinus thrombosis. For this reason, all infections originating from the facial area should be regarded with extreme caution. Cavernous sinus thrombosis can be diagnosed in some cases via a computed tomography (CT) scan performed on the head, in which x-rays are taken by a computer to provide precise imaging of the affected area. Magnetic resonance imaging (MRI) can also be used to diagnose the condition, and this can be even more precise. In addition to using these types of advanced technology, doctors will sometimes diagnose CST by taking blood cultures and lumbar punctures, and then analyze the results for accuracy. In the past when antibiotics were not available, a diagnosis of CST meant that death was relatively certain, for the victim but with modern medical treatments, mortality rates are much lower. The jugular vein, the major blood vessel responsible for the transport of blood away from cavernous sinuses in the brain, is where CST can cause dangerous blood clots. Any infection which develops in the facial area or the skull, can spread to the cavernous sinuses and cause a blood clot to take shape. Blood clots often develop as the immune system works to fight the spread of infection, but in this case, that works against the body, because the blood clot can restrict the flow of blood from the brain – sometimes right in the critical jugular vein. This, in turn, can cause significant brain and eye damage, as well as nerve damage between the eyes. In unusual cases, blood clots can develop independently of any other infection, and cause any or all of these same symptoms. 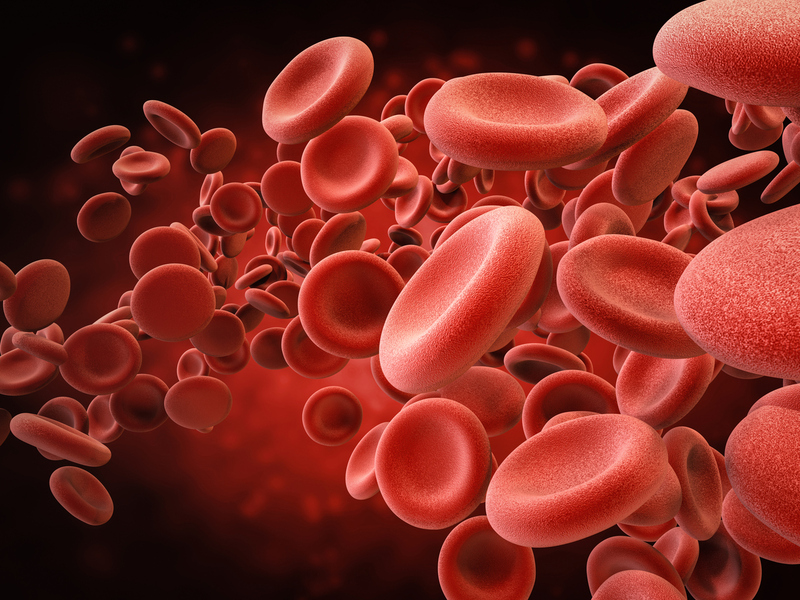 Not only is the blood clot unable to halt the proliferation of infection, but that infection can then permeate the entire bloodstream, and lead to blood poisoning. Although infections are by far the most common cause of CST, the condition can also be caused by a severe head injury, a fungal infection, some kinds of medication, medical conditions which make you susceptible to blood clots, and even some conditions which trigger inflammation inside the body, such as lupus. Sinus thrombosis can result in dangerous or even fatal blood clots, which is why it’s important to treat the infection as early on as possible. Some of the most common symptoms of cavernous sinus thrombosis are as follows: experiencing double vision, having severe, concentrated pain around the eyes, swelling around the eyes, and sharp, intense headaches which frequently occur in the area around the eyes. 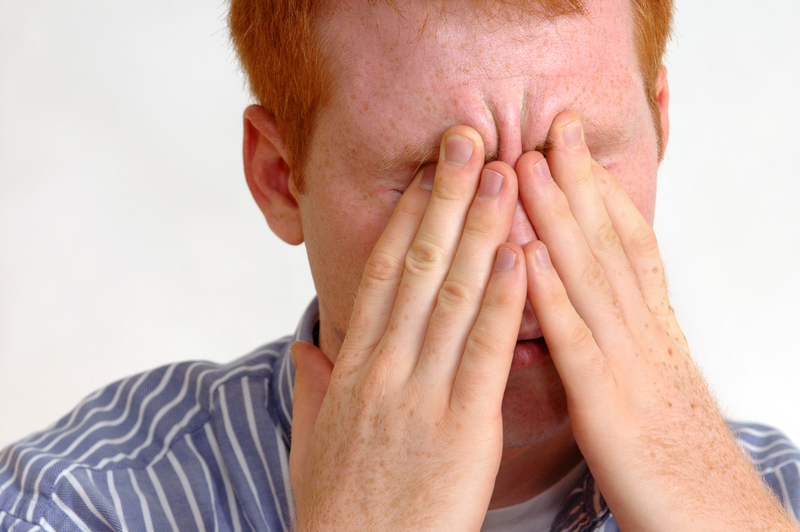 Of these, the most common symptom is an acute headache centered around the eyes, which steadily worsens. Bacterially-induced CST develops within a week of that infection, and soon after that, the characteristic headaches start to occur. However, after the appearance of headaches, no other symptoms appear for up to several weeks. This is one of the reasons that CST is commonly misdiagnosed, because as far as can be observed, the only real problem is headaches, although these are more or less relentless. When other symptoms do develop, later on, you might see a body temperature greater than 100°, frequent vomiting, seizures, and unusual changes in the victim’s mental status, as evidenced by confusion or disorientation. When these symptoms are left untreated, very severe health issues may follow. Fairly often, people suffering from cavernous sinus thrombosis will become more and more drowsy, eventually slipping into a reduced level of consciousness. In approximately 15% of such cases, that will even deteriorate into a coma-like state. Because of the extreme danger of overlooking treatment, the appearance of any of the symptoms described above should be a red flag to you, and you should consult your doctor about whichever of the symptoms are being evidenced. Persistent severe headaches which you have never had in your past medical history should be treated with extreme vigilance, and so should any of the symptoms related to the eyes, e.g., swelling, sharp pain, and headaches centered around the eyes. Antibiotics are usually administered to treat the infection which led to the development of CST, and this is often one of the first steps in treatment. If any of the head scans have indicated the presence of a blood clot, that must be removed before it can cause any of the extreme conditions mentioned above. Heparin is a medication that can dissolve blood clots, since it thins the blood, and corticosteroids are sometimes also used to reduce swelling and inflammation. The main thing about any treatment program is that it must be addressed as early as possible after diagnosis, to avoid any of the potential health issues we’ve discussed. Fungi are organisms which are akin to plants, although they cannot be accurately identified as plants because they lack chlorophyll in their makeup, and therefore are unable to manufacture their food. Fungi must rely on other dead organic matter for nourishment, and in some cases, they will even feed on living organisms as well. Fungi are present virtually everywhere, although they are not visible to the naked eye, and are otherwise undetectable. They can enter the human body through breathing, although in the vast majority of cases they are harmless. The fungi cannot cause any real harm because a healthy immune system immediately attacks them and prevents any further damage. However, in a compromised immune system, inflammation can occur around the nose and the sinuses, where conditions are naturally favorable for fungi to take up residence and thrive. Once they become entrenched there, with no serious opposition from the immune system, they can cause fungal sinusitis. The most frequently occurring variety of fungal sinusitis is allergic fungal sinusitis or AFS, and this strain develops in people who are allergic to some kinds of fungi. When fungi enter the human body through normal respiratory processes, there is an immediate immune reaction which automatically tries to prevent their establishment and proliferation. This triggers an allergic reaction and causes the sinuses to become swollen. When sinuses become swollen, it blocks passageways and creates an ideal environment for fungal growth, with all the natural moisture and warmth available in the nose. People who have healthy immune systems will only experience AFS as a mild disease and will sustain the inconvenience of symptoms like a runny nose or nasal congestion. A weakened immune system can cause extreme facial pain, powerful headaches, a persistent cough, and uncomfortable swelling. Hearing problems can also develop if the ear canals become blocked by swelling, and this may cause extreme sensitivity to some sounds. Many sufferers of AFS also experience bad breath because of the fungal growth which persists in their systems. Lung problems can develop as a result of nasal mucus dripping into the lungs and accumulating there. In the most extreme cases of AFS, sinuses and the bony part of the nose can be so expanded because of the disease, that they have the effect of forcing the eyes forward in the skull, causing a noticeable increase in the distance between the eyes. Fungal sinusitis is unique in that it is caused by exactly what it sounds like, fungi. Eliminating fungal growth is the key to treating symptoms of swelling, facial pain, and postnasal drip associated with this type of sinusitis. It’s essential to diagnose fungal sinusitis early on, so patients can avoid the more severe symptoms, and restore proper ear, nose, and lung health. One of the first diagnostic tests that a physician might perform is a blood test, which will indicate whether or not antibody levels have increased, showing that the immune system is on the alert. CT scans and x-rays can be taken to check for the possibility of mucus in the sinus, as well as checking for the presence of the fungus itself. Skin tests are often used to determine whether or not a patient is allergic to specific fungi, which will increase the degree of any symptoms experienced. Local minor surgery can also be used as a treatment option, to precisely locate the mucus and extract a sample that can be tested for any fungal presence. If any of these diagnostic test results indicate fungal sinusitis, a treatment program will quickly be recommended and implemented. The primary objective of any AFS treatment program is to eliminate the buildup of mucus, and the fungi which triggered the allergic reaction. However, since the fungus may return, steps must also be taken to prevent its recurrence, generally making use of medications and in some cases surgery. To remove the mucus layer and the fungi from a patient, a doctor will utilize a tube-like instrument which has been inserted with a camera. This tube must be inserted through the nostrils so that the mucus and fungi can be precisely located and removed. Medications are also generally part of an ongoing treatment program. These can include steroids for the reduction of any inflammation, antifungal medications which prevent the growth of the fungus, antibiotics which are essential for managing bacterial infection, and quite often, inhalation sessions which work to relieve blockage and restore nasal passage flow. Some of the more advanced techniques used for treating AFS include inoculating a patient with a tiny amount of inactive fungus, in much the same manner that flu shots include small amounts of the influenza virus. This triggers an immunotherapeutic response by working to build up the body’s natural resistance to fungus and theoretically preventing future invasions by the fungi. Often shortened to AERD and also known as Samter’s Triad, aspirin-exacerbated respiratory disease is considered a ‘chronic’ medical condition that affects the body in three different ways: asthma, sensitivity to aspirin, and sinus disease (with recurring nasal polyps). In addition to aspirin, the medical condition also includes non-steroidal anti-inflammatory drugs (NSAIDs) and others that inhibit cyclooxygenase-1 (enzyme). 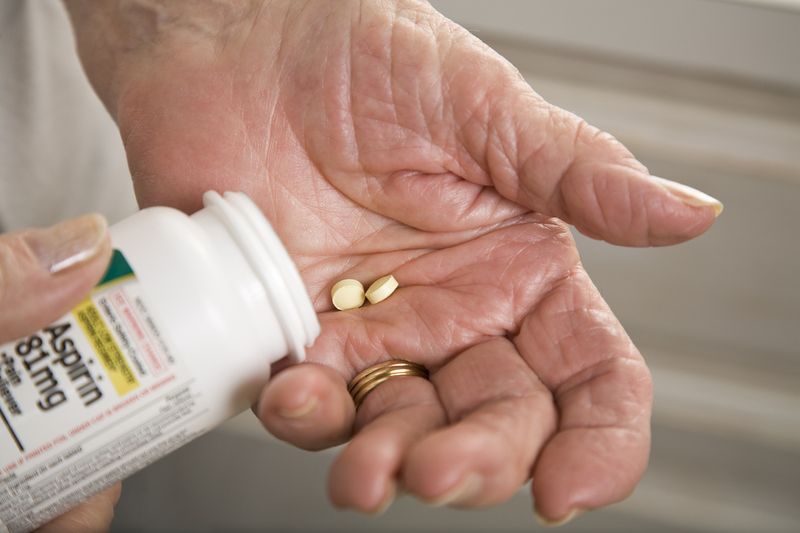 Common NSAIDs include Motrin and Advil. Unfortunately, despite much research and much investment from various medical associations, the cause of the medical condition is largely unknown. Initially, it was thought to be a genetic condition but researchers disproved this theory recently. Typically, people become aware of having AERD after taking or even just inhaling a NSAID. However, this is as much as we know and scientists aren’t quite sure of why the reaction occurs. Since the condition features a triad of issues, around 30% of all asthma and nasal polyps sufferers are likely to have all three. Meanwhile, for people with asthma alone, the likelihood reduces to just under 10%. Regarding age, people discover they have AERD in adulthood, and it happens quite suddenly compared to many other medical conditions. For most, this comes after the age of 20, and the majority of people find out before the age of 50. To this day, aside from NSAIDs, there is no known trigger for AERD. As we saw previously, a certain amount of people with asthma have all three problems and the likelihood increases for those with asthma and nasal polyps. With these two health conditions, AERD patients tend to find that conventional treatments don’t help. 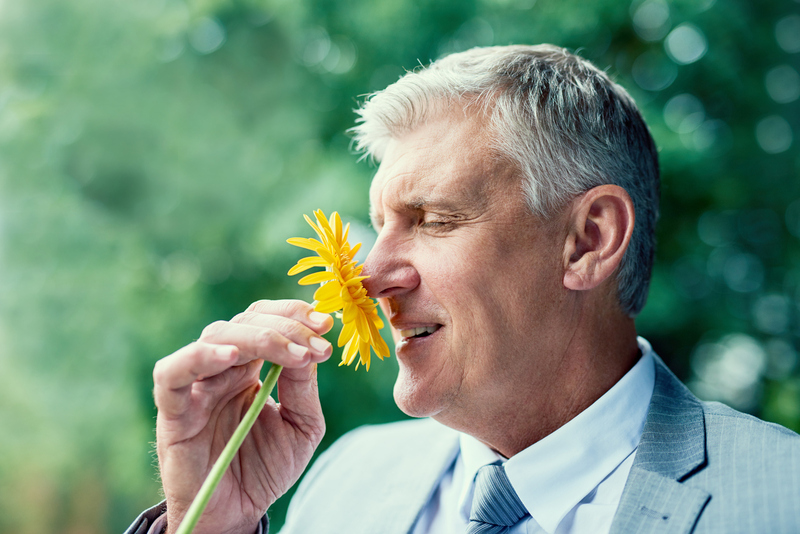 Furthermore, many with chronic sinus infections experience some degree of loss to their sense of smell. By definition, AERD patients experience some form of reaction after taking aspirin or any other NSAIDs. For the majority, AERD patients experience upper respiratory symptoms including sneezing, sinus pain, increased nasal congestion, and frontal headaches. In addition to these symptoms, lower respiratory symptoms are also possible, which include wheezing, coughing, and tightness in the chest. As with many other health conditions, alcohol consumption is a significant factor. According to physicians, around three-quarters of all those with AERD experience respiratory reactions after consuming alcohol. Depending on the case in question, it could be just one type of alcohol, or it could be several. It can also occur after less than one glass or after quite some time. As you can see, there are still a lot of unknowns to this condition, and ongoing further research is being performed daily. Patients with AERD should always take precautions and ask their doctor before taking a new medication or any type of NSAIDs. With so many unknowns regarding the causes and triggers of AERD, diagnosis of the problem is clinical, meaning there isn’t one universal test that can be used to confirm its presence in a patient. Instead, physicians administer three individual tests for diagnosing asthma, sensitivity to aspirin and sinusitis. For situations where a reaction to NSAIDs isn’t apparent, doctors might carry out a formal aspirin challenge to test the idea. Elsewhere, doctors do have a backup protocol, and it comes from the knowledge that AERD sufferers have an abundance of eosinophils within the nasal polyps as well as in their blood. Eosinophils are immune cells that are common wherever inflammation is likely to occur. However, the presence of these cells can only be used as a guiding tool as opposed to a part of the diagnosis. If you’re suffering from AERD and haven’t found a solution to the problem, you should look to avoid all NSAIDs to prevent any possible reactions. Sadly, the symptoms of nasal polyps and asthma will still exist until they are treated individually. For the majority of patients, doctors prescribe daily medications that allow the symptoms to remain under control. For asthma, this could involve inhaled corticosteroids, while the nasal polyps can be controlled using intranasal steroid sprays. Even though medical therapy can be intensive with various medications and even injections, nasal polyps still commonly require surgical intervention. In treating AERD, aspirin desensitization is a common solution. Ultimately, this will see aspirin carefully administered in increasing doses within a clinic or perhaps even the hospital. Eventually, the goal is to have the patient engage in long-term daily aspirin therapy, which prevents the need for corticosteroid medications while also reducing the likelihood of nasal polyps returning. If you’re experiencing the symptoms we’ve described or think you may have AERD, please visit a qualified professional who will run the appropriate tests and start you on a treatment plan that’s right for you.